The Spencer Gulf and West Coast Prawn Fisheries operate under a general co-management framework, where industry and government in particular work together to achieve the goals for managing the fisheries. An example of the Prawn Association’s role in effective fisheries management includes the coordination and management of the surveys conducted to inform fishing strategies. The surveys provide information about stock status, in addition to the area available to the fleet for fishing. The Prawn Association has recently conducted a research project on co-management that has also identified other stakeholders as being crucial to the co-management framework. As part of the findings, the Prawn Association is working with the Conservation Council of SA (CCSA) by trialling CCSA involvement in the Prawn Associations Research Sub-Committee and in the development of an observer program. Click to access Stock Assessment Reports. 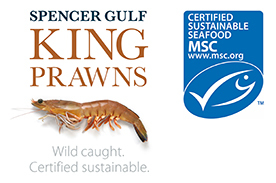 The Spencer Gulf Prawn Fishery is managed under Real Time Management arrangements with PIRSA Fisheries and operates in accordance with legislation, regulations, and policies. In particular, the Spencer Gulf Prawn Fishery utilises a number of fishing rules, as provided in the Management Plan for the South Australian Spencer Gulf Prawn Fishery September 2007 (the Management Plan). Real Time Management is a key component of co-managment arrangements, as the fishermen are resopnsible for sharing real time data, i.e. prawn size and catch, to adjust the fishing grounds available. It is an ongoing process of determining sustainable fishing strategies based on information gathered during fishery-independent (stock assessment) and fishery-dependent (spot) surveys. Commercial fishing (November June) does not take place until the data from the surveys has been analysed and the stock abundance, size of prawns and spawning status are known. Prior to fishing, the Prawn Associations Management Committee, in conjunction with PIRSA Fisheries and SARDI, develop a fishing strategy. The fishing strategy includes survey date(s) and locations (spot survey only), start date, and nature of the fishing strategy (closure lines, total catch / mean size). Fishing strategies are developed from the outcomes of surveys (in particular, stock assessment surveys), historic fishing data and the results of the previous fishing period. Stock assessment surveys are conducted three times each fishing season to assess recruitment, abundance, growth and spawning: November; February and April. Industry driven spot surveys are conducted at the beginning or during each fishing period to assess areas for immediate fishing, other than November, February and April (when stock assessment surveys are conducted). Surveys utilise a pool of approximately 12 vessels from the Spencer Gulf Prawn Fishery. Vessels are not obligated to participate in surveys; it is voluntary. The West Coast Prawn Fishery has recommenced prawn fishing in 2008 after an extended period of no-commercial catches. As such, the West Coast Prawn Fishery operates under the Management Plan for the Spencer gulf and West Coast Prawn Fisheries July 1998 (the West Coast Management Plan). The West Coast Prawn Fishery has three areas in which it can operate along the West Coast of South Australia. These fishing grounds are known as Ceduna or Thevenard (referred to as Nuyts Archipelago in the Management Plan), Venus Bay (referred to as Anxious Bay in the Management Plan) and Coffin Bay (Location). One, two or three of the fishing grounds are opened for fishing based on the results of surveys, historic fishing data and commercial catch information from the previous fishing period. The Management Committee member for the West Coast, in consultation with PIRSA Fisheries and SARDI develop a preliminary fishing strategy at the Management Committee meeting held prior to the intended fishing period. The fishing strategy will determine when/if a stock assessment survey will be conducted, when fishing will commence and how many nights are open to fishing. During the 2008 fishing season, the West Coast Prawn Fishery conducted three stock assessment surveys, in March, June and October. Surveys require trained observers to be present on board the vessel during the entire survey. It is the role of the observer to record specific data on the prawns caught in addition to other research work required (for instance recording of by-product information). Skippers and crew on board the vessel assist observers in recording the data and making sure that the information is correct. Crew are responsible for sorting and packing prawns. As there are only three licences issued for prawn fishing in the West Coast Prawn Fishery, all three vessels are required to participate in stock assessment surveys. The West Coast Management Committee member determines the survey logistics, specifically which vessels will survey what area. Prawns caught as a consequence of the surveys have been retained by the vessel owners and sold as part of the commercial catch. Sale proceeds are retained by the vessel owner to cover the costs for conducting surveys (time and operating expenses). Additional funds, above operating costs, will be voluntarily submitted to an account for future research needs as well as supplementing income from poor catches during a survey (to cover costs). Sustainable harvest strategies are then determined, based on number of nights fishing in addition to fishing grounds that will be open. In addition the West Coast Prawn Fishery licence holders, PIRSA Fisheries and SARDI determined suitable criteria, within which the fleet should operate. The criteria determine when fishing must cease based on average catches each night and average bucket counts (prawns must meet size criteria). The criteria allows for economic efficiency (minimum catches to cover operating costs) and flexibility within the fishing fleet. Total catch and bucket counts provides for an accurate evaluation of the fishing grounds, rather than focusing on a particular vessel that may have had a poor fishing night. The criteria also provides for sustainable fishing: where low nightly catches may indicate low numbers of prawns in the area; and targeting large prawns to allow future recruitment. The West Coast Prawn Fishery is now in a state of healthy recovery.